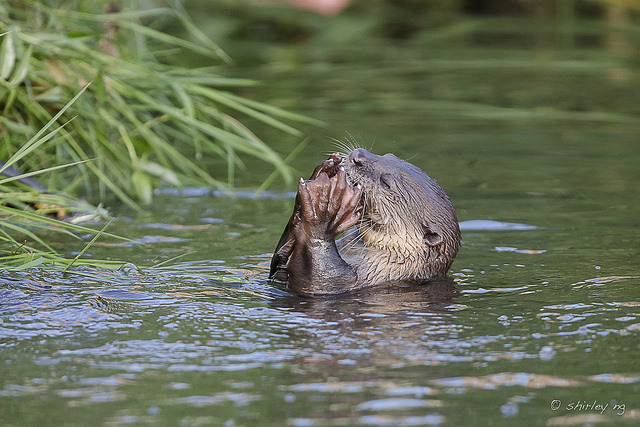 Life's Indulgences: How many species of otter world wide? In Singapore we have the smooth-coated that we see frequently on social media and in the press. The other lesser known species is the Asian small-clawed which isn't present on the main island but may be on Ubin and Tekong. It's also shyer than their larger relative. We can only see these in the Zoo and Night Safari where they have a captive population. They are about half the size of the smooth-coated and is also the smallest otter of the 13 species. They have incomplete webbed feet hence aren't as strong swimmers as the smooth-coated which have fully webbed feet. If you want to learn more go on down to the Festival of Biodiversity that takes place on 3 & 4 September pointing you to Otterman's blog for more information. 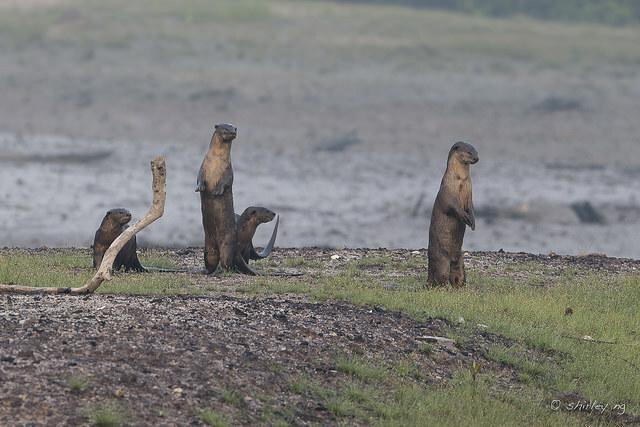 In South East Asia there are four species - smooth-coated, Asian small-clawed, hairy-nosed and Eurasian otters. 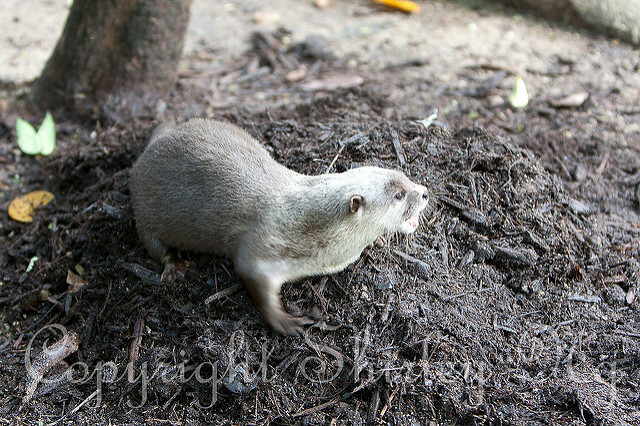 Some might remark there's another otter species in River Safari. They are the giant otter from South America. They are huge and just as otterly adorable as all other species.